The awful, crazy stuff going on in the world today makes me all the more thankful to live in a small town in the mountains of western North Carolina. That’s not to say that living here makes us immune or any less sensitive to what we hear on the news, but there is some measure of comfort knowing that because of where we live, we are buffered to some extent. Or at least I feel like we are. I worry about my friends and family who live in big cities. I did it for most of my adult life and have no desire to do it again. I like living in a town where it takes me longer to do my grocery shopping because I’m always running into people I know. I like the notion that being behind four cars at a traffic light is considered a traffic hold up. Like any town in America, we have our issues but the crime is petty stuff. There are no riots, no one is looting our stores and burning down businesses, putting innocent business owners in jeopardy of losing their livelihood. Our newspaper isn’t filled with that kind of news. Community sections ask for prayers because someone’s Uncle Roy isn’t feeling well this week and a child coming home from college for spring break will likely be celebrated at a pot luck supper. It’s not to say that what happened at Vaughn Foods this week couldn’t happen anywhere, including our small town, but I can’t say that I live in fear of that here. At the moment, the controversy in our community centers around whether our entire county should be allowed to sell alcohol. For anyone living in a big city, it may come as a shock that liquor laws are even a point of discussion in today’s world. But it is Transylvania County. This is the south and this is the Bible belt so there are very strong opinions on both sides. As it stands now, you can buy a drink if you’re in the city limits of Brevard, but head south to Cedar Mountain and you can’t. I have my own opinion on the matter but the point is, while the folks of Moore, OK are reeling from the violence that has infiltrated their community and shattered their sense of security, we’re talking about whether people should be able buy a beer. Sorta gives you pause to consider what’s really important in life, doesn’t it. Part of the appeal of Brevard, North Carolina is that it’s a small town nestled in the mountains of western North Carolina. Smalls town hold a lot of charm and a quieter life style that many people are looking for. So you might be thinking that living in a small town means giving up arts and culture. When you live in Brevard, nothing could be further from the truth. Fact is, Brevard has more art galleries per square mile than any small town in western North Carolina and rivals towns twice its size when it comes to things to see and do. Whether it is pottery or painting, weaving or sculpture, the arts community in Brevard is home to a host of creative talent. 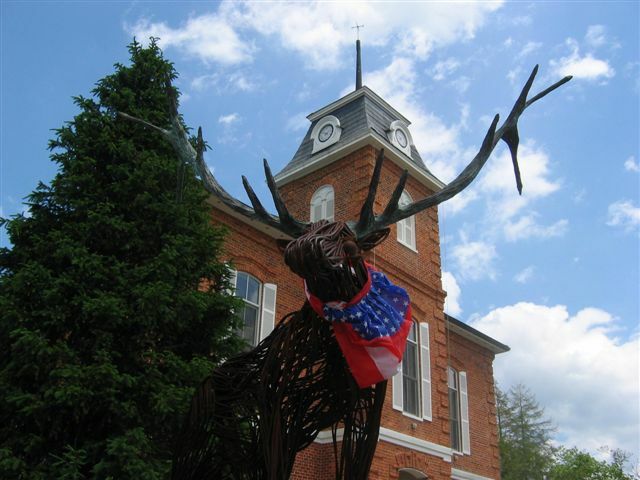 Sculpture Tour – Around Brevard you’ll find 17 different sculptures depicting a variety of animals that we share our area with including panther, bear, squirrels, and more. It’s a walking tour that you can do on your own and at your own pace. It’s a great way to discover art in some unexpected places and get to know Brevard at the same time. 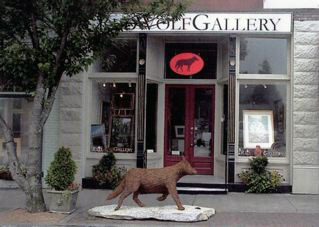 Gallery Walk – From April through December, the 4th Friday of each month is known as Gallery Walk in downtown Brevard. The art galleries and the merchants stay open late to welcome visitors. There’s music in many locations and many offer wine and snacks to enjoy as you stroll from store to store visiting with artists and merchants. Gallery Walk is one of my favorite things to do, especially in the spring and fall. I always run into lots of people I know and we usually end up at one of our favorite downtown restaurants for dinner afterwards. Scenic 276 Art Corridor – Hwy 276 is a winding mountain road that leads you south out of Brevard and into South Carolina. When you travel that way, be sure to stop into one of many pottery galleries and art galleries to enjoy some of the best craftsmanship in the Appalachian area. Some of the galleries also offer classes if you want to get more in touch with your own inner artist. Paul Porter Center – Located on the campus of Brevard College, the Porter Center plays hosts to an impressive array of performances. The acoustics and intimate setting makes it ideal for musical performances, dance, theater, or educational presentations. 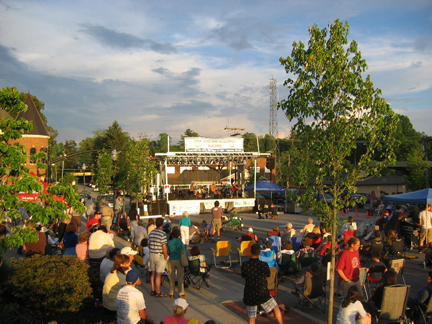 Brevard Music Center – The highlight of every summer here in Brevard is the summer music festival at the Brevard Music Center. Students from around the world travel to Brevard to learn and be inspired. This year, there were over 80 performances including opera, chamber, orchestra, and guest performances. We happened to see Mary Chapin Carpenter in concert this year, but other greats like Yo Yo Mah also grace the stage every year. For seven weeks for the past 78 years the Brevard Music Center has been the highlight of the summer. There is a lot to love about Brevard that involves the natural beauty of the mountains and waterfalls that are part of every day life. The rich, vibrant arts community captures all that and more in clay, on paper, in fiber, and in the sound of music. We invite you to come discover the art of living in Brevard. Homes and land sales continue to be higher than the same time last year, especially homes. In 2013 280 properties sold compared to 313 this year and we attribute that to two things – great mortgage rates and price adjustments. In 2013, a look at homes listed year to date show a median price of $314,500. During the same time this year, the median price range had dropped to $279,000. (Note: any average or median price range can vary significantly due to very high end properties in our market) The greatest number of homes sales continue to fall where they have the last several years and that is under the $350,000 price range. Land sales are also slightly ahead of last year and prices continue to adjust. As we go into the fall months, if you are considering buying land, this is a good time of year to do it. The temperatures will be cooler and as the leaves start falling, it’s much easier to see the land and surrounding properties. For a complete breakdown of the market and a more detailed looked at the various price ranges, sign up to receive our FREE e-newsletter. It’s chock full of information about the Brevard NC area as well as the most up to date information about our market. Sign up today! Fall in the mountains….my favorite time of year. It’s September. The kids are back in school, football season is starting, and it won’t be long before we’ll be needing a sweater in the morning. It’s almost fall in the mountains – my favorite time of year. As the calendar flipped over to September yesterday and we all celebrated Labor Day the temperatures were still hovering in the 80’s but my mind was already racing ahead to those crisp fall days that are just around the corner. I love that time of year when I can smell wood smoke coming from the fireplace and hear the sound of leaves crunching under my boots. Fall means football on Sunday afternoons and a pot of spicy chili on the stove. It also happens to be, in my opinion, the most beautiful time of year here in the mountains of western North Carolina. I grew up in Virginia where we enjoyed four distinct seasons like we do here in western North Carolina. After living in Florida for over 30 years though, I had all but forgotten the beauty of spring and the colors of fall. All that changed though when we relocated here to the Brevard area. Don’t get me wrong, I love spring. The flowers and trees are beautiful and there is something special about the sense of renewal as we come out of the winter months. But spring is still the season that leads into summer, my least favorite time of year. 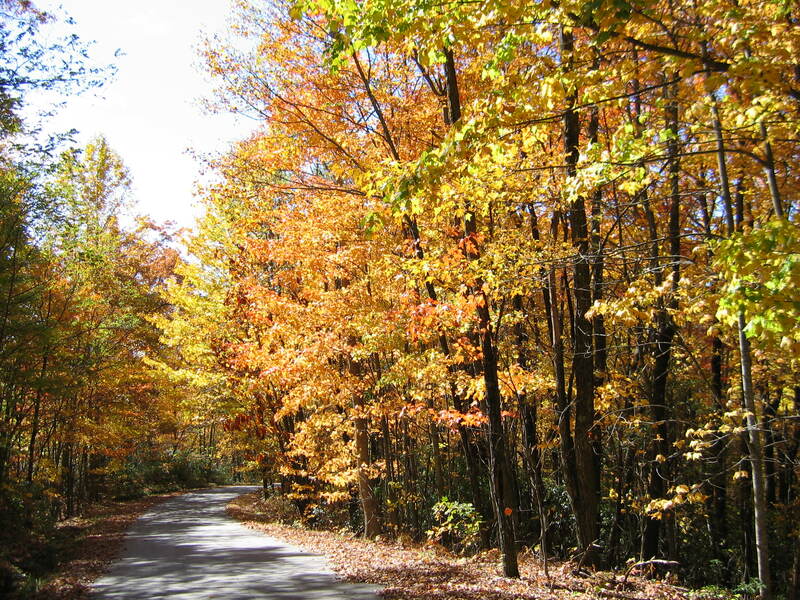 But fall….oh how I love driving the mountain roads in the fall. Every turn in the road is a different shade of gorgeous. There is a particular stretch of Hwy. 64 up near Sapphire, NC that never ceases to take my breath away and I always feel particularly blessed on those days when the falling leaves and a gentle breeze create a shower of color all around me. Fall is the time of year when some of my favorite foods are at their best. Turnip greens in particular call my name this time of year as do apples. Lucky for us, we live in the area of North Carolina that produces the most apples in the entire state and is the 7th largest growing area in the whole country. If you are visiting the area this fall, there’s nothing like a cool afternoon spent picking your own apples at places like Grandad’s Apples ‘n Such or Stepps Orchard over in Hendersonville. It won’t be long before we start to see dried corn husks and pumpkins on porches and talk turns to Halloween…and then Thanksgiving. Perhaps that is another reason I love fall. It lasts longer than other seasons, includes Thanksgiving, and then blends into winter, my second favorite time of year. As winter rolls around, that means birthdays, Christmas, and before you know it, we’re starting a new year. Spring won’t be poking it’s head up again until April. Every day now I look for the subtle signs that signal the change of season. I look for shadows that are longer, days that are shorter, and the restaurants and grocery stores that are less crowded because our seasonal residents have gone home. Then comes the day when I notice how dry the air feels and how nice it is to sit on the front porch in my favorite sweater watching dappled sunlight through yellow leaves. Fall in the mountains of western North Carolina. It can’t come soon enough.